Google is holding a press event tomorrow (Thursday, October 5) to unveil, among other things, the Pixel 2 (or 2s, because we expect there to be a few of them). While nothing has been announced just yet, there have been a good number of leaks about the phones as well as a few teases from Google on what we're likely to see at Thursday's event. The general consensus is that there will be two Pixel 2 phones, a smaller version made by HTC and a larger XL version made by LG (likely similar in design to the LG V30). 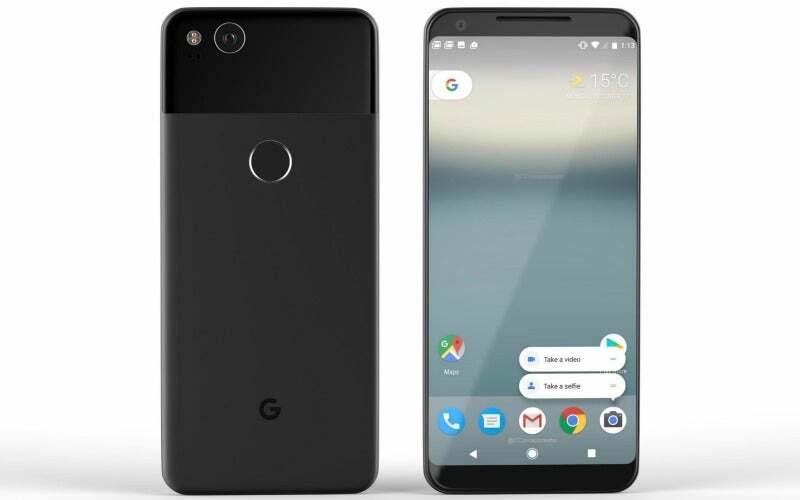 The Pixel 2 XL is expected to have a 6-inch QHD+ display with Gorilla Glass 5, optical image stabilisation on both the front and rear-facing cameras, and potentially "squeezable" sides that could trigger different actions on the phone. The traditional Pixel 2 is expected to have the same features, except with a 5-inch 1080p display. Leaks suggest both phones will have 4GB of RAM, be available with either 64GB or 128GB of storage. A new leak on Tuesday (seen in the tweet above) showing bezels on each side of the display of the larger phone appears to confirm that the XL will look similar to the LG V30. Another image shows two speakers on the bottom of the smaller phone, seemingly confirming that it will have stereo speakers. One notable omission: Neither phone is expected to ship with a headphone jack, meaning they're doubling down on users buying wireless headphones. Tuesday's leak suggests that the Pixel 2 will have a redesigned home screen. The Verge notes that the Google search bar is moving from the top of the screen to the bottom, and that there appears to be a new widget at the top of the display that will show upcoming calendar appointments and the current weather. Much to the dismay of many Pixel owners, neither the weather widget nor Google search button could be removed from the original Pixel. We'll have to see if Google offers the ability to make adjustments this time. Both phones will ship with Android Oreo, that's a given. However, the phones are also expected to have a few additional features, namely an auto-Shazam feature that can identify music being played in the background, and a single-camera bokeh mode. PC Magazine also notes that Google put out a teaser video for the phones with a bunch of questions such as "What's wrong with my phone's battery?" and "Why is my phone always out of storage?" We expect those questions to be addressed in some form during Thursday's event, likely highlighting specific software and hardware improvements with the Pixel devices. VentureBeat reported this week that the Pixel 2 will be released on October 19, while the Pixel 2 XL won't be released until November 15. The Verge notes that the timing seems to line up. Last year's Pixel was announced on October 5 and shipped on October 20, so an October 19 ship date for the Pixel 2 would be consistent with last year's launch schedule. According to Droid Life, the Pixel 2 will be priced at $US649 ($828) for the 64GB version ($US749 [$956] for the 128GB) and the Pixel 2 XL will be priced at $US849 ($1084) for the 64GB version and $US949 ($1211) for the 128GB model.